You must make reservations at least 5 minutes in advance of the time at Vidorra. Call our Vidorra Events Coordinator, Brandi Austin, to book your event today! 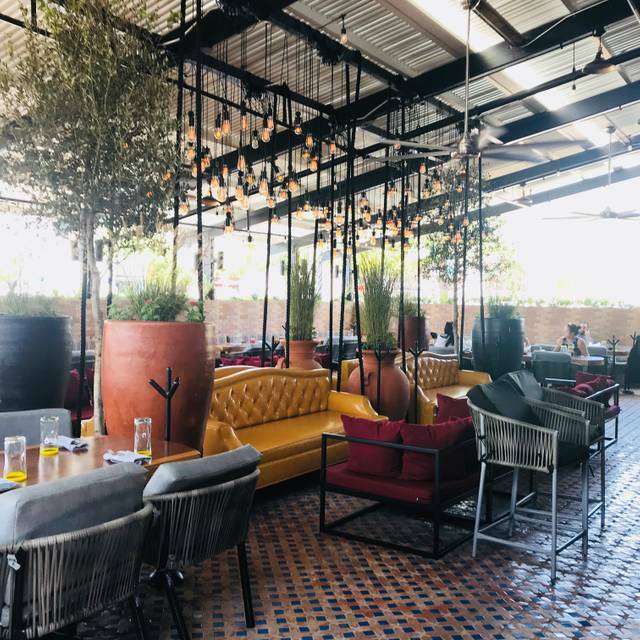 Vidorra - meaning The Good Life - is a modern Mexican restaurant, patio and rooftop with stunning views of downtown Dallas. 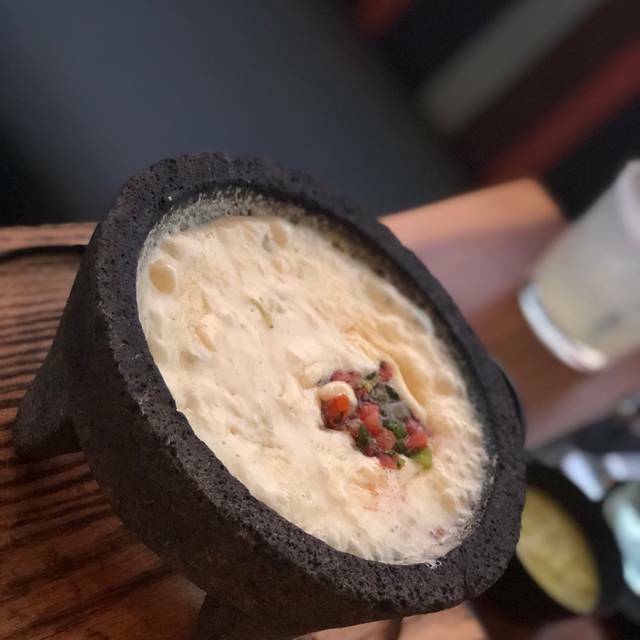 Serving lunch, dinner and brunch, the restaurant serves an expansive food menu, creative cocktails and broad tequila offering - including a flight program. 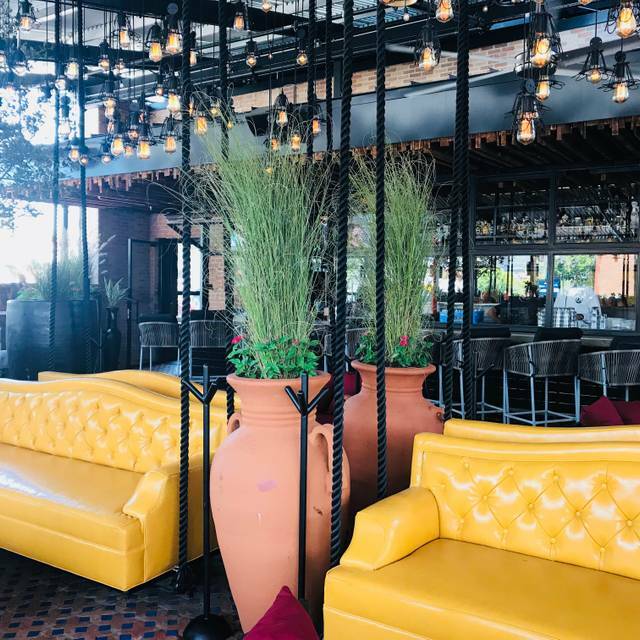 Vidorra offers a dining and social experience like no other in Dallas. Are in the patio with a friend - great patio! Horrible overall experience on what was supposed to be a very special evening. Seated immediately at 5pm - but on patio in full sun - had to ask for shaded table (the entire patio was open with only 1 table occupied). Never was asked what we wanted to drink after we told him we weren’t ordering any of the alcoholic drinks he was pushing. We were there 30 minutes before order taken - remember restaurant was empty. We had to find waiter to place order. By 6 we still did not have any of our order - no refill ever on the chips. Had told them we were in a hurry to get to a show and we needed to leave by 6. When I went to tell them at the front we were going to have to leave they didn’t seem to care. When I told hostess I guess i didn’t need a check because I was never provided with anything ordered we found her with 2 more sets of diners with the same complaint. Birthday experience was sun par. Been here three times. Decent food and great atmosphere but simply not my favorite. If just going for drinks, great choice. Lovely, went on a valentines date! Beautiful patio but food was mediocre, at best. We all tried several different things and nobody loved theirs. 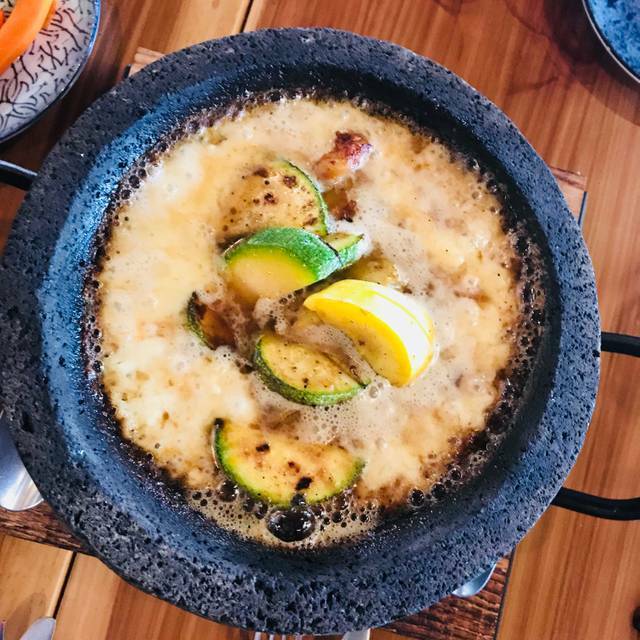 The queso and Guadalajara were absolutely amazing. The vibe of the whole place is very cool. The food was decent, the service was good and the food was delivered fast. There were multiple birthday parties going on so the restaurant was really loud but other than that it was an enjoyable time. Really good Mexican food in a new-age style (not Tex-Mex). 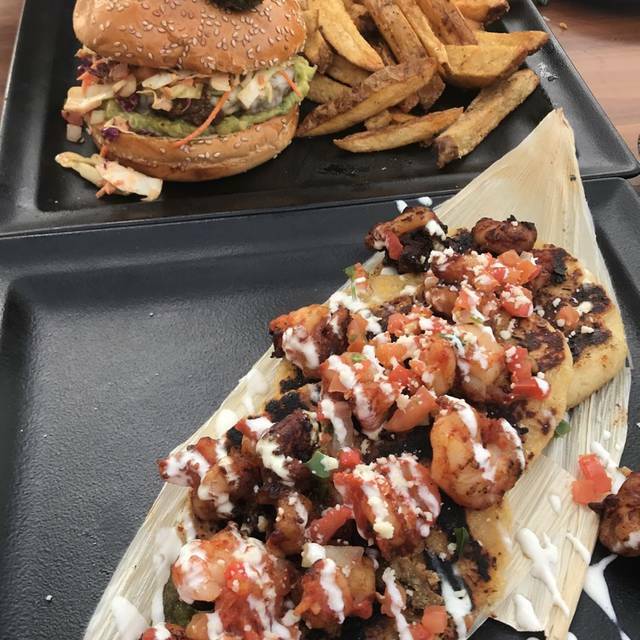 The quality is great (particularly the brisket tamale and shrimp corn cakes) and the drinks are even better. They have great cocktails that really make this a fun date night or friend night. We also got the fried chimichangas and YUMMMM! Great restaurant for ambiance. The maragaritas were great! The food was just okay. The service was terrible the server was not very attentive, in the whole 2 hours we were there we seen our sever twice. I had to flag down other servers just to order more margaritas and chips for our queso. It also took a long time for our server to bring out our food! I would only return for happy hour. Not worth the regular pricing! This was our first time visiting and wasn’t impressed. I also requested seating on the second floor patio only to find out it’s closed til 5pm. What’s the point of making reservations if you just seat us anywhere. The outside patio is great! We went during happy hour to take advantage of the 1/2 price apps. Also recommend the Gold Digger margarita!! All of the food we had was amazing. Our server Kris was phenomenal. Highly recommend the corn. All the food has a rich smoky flavor. So many amazing cocktails to chose from. Been to Vidorra a couple times and it is a great new place in Deep Ellum. 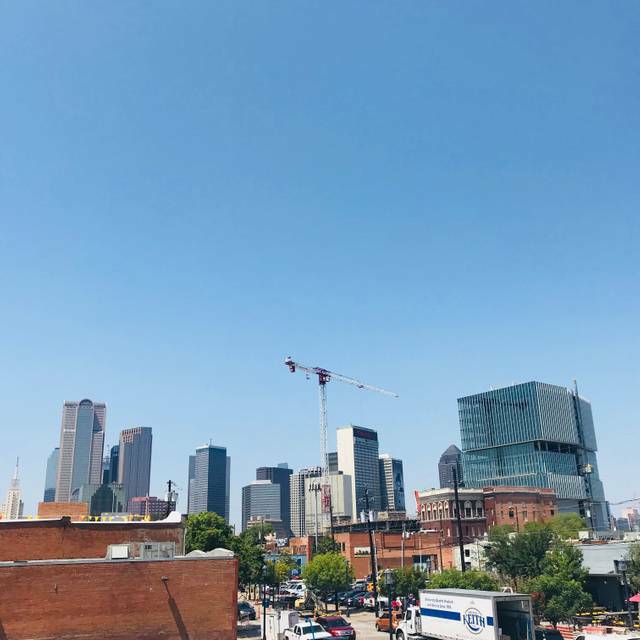 Love bringing people new to Dallas by here. Great atmosphere and vibe. Service can be a bit slow at times, but overall love the place and will continue to return. Great EVERYTHING. the aesthetics, the food, the service, the experience. AMAZING all around. Fantastic service thanks to our waitress. I had a great time at Vidorra. I enjoyed the ambiance, food and drinks. The bartender was excellent! The only thing I wanted to see was more happy hour food and drink options. Drinks are perfectly strong! The shrimp was bomb. Overavall though the food was subpar, needs more seasoning. I didn’t touch the refried beans, yuck! And the white rice? Bland. Food is disappointingly below average. I brought a date here because it looked pretty cool inside. The food wasn’t too expensive so it wasn’t a total loss. Our table upstairs had an incredible view of downtown. The decor of the restaurant is so cool and fun! The food was incredible. In Dallas there are a lot of Mexican restaurant options and this is by far now one of my favorites. 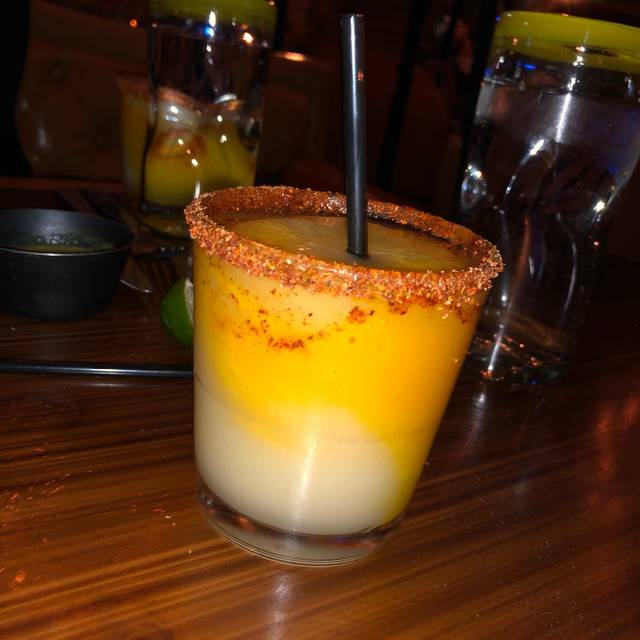 The mango margarita, queso, and enchilada I had were all amazing. I'll be back! Great experience for a friends birthday dinner. Thank you all at Vidorra! 4 people at our table--4 COLD plates of food. Slow service. Incorrect orders. SO disappointed! It was embarrassing to me, as I had invited guests to join us. They comped our food, although I did not ask them to. Still, the evening was pretty much ruined. It started so well! Good chips and salsa, decent margaritas, superb space. It just went downhill quickly after that. The food is was too salty had tortilla soup which I returned. Also the sour cream enchiladas both were too salty. Liked the overall feel of the restaurant. Will go back to try it again. Terrible service. Had to ask everyone else to get our drinks except our server since he never came to check on us. Food was not satisfying either. Overall very disappointing experience. 13/10 would not recommend. I was really excited to try this new place out and was finally able to do so this past weekend and am extremely disappointed. The food was not good, the chips had a weird after taste that I was not able to get rid off for hours, the drinks were very blend and over priced. The service was good, the waiter was very attentive and the hostess was sweet. The noise level was too much, I felt like I had to scream just so my friend could hear me and she was just across the table from me. The ambient was alright, seemed more of a club scene than a dinning restaurant. Sadly, will not be visiting this place again. We were supposed to be on the patio but they told us when we arrived that the patio is not a guarantee when making reservations. We were indoors and it was so loud we couldn’t have a conversation between the 6 of us at the table. Sat us in the corner on Valentine’s Day after I asked twice to be seated elsewhere. Ordered a Mexican martini and the server brought us straight tequila and contreau in a martini glass without any lime juice. Restaurant didn’t credit opentable reservation as well. Service was outstanding. Several managers stopped by to ask about the food and the drinks. Food and drinks were wonderful. Great ambiance on the covered patio. Great atmosphere! 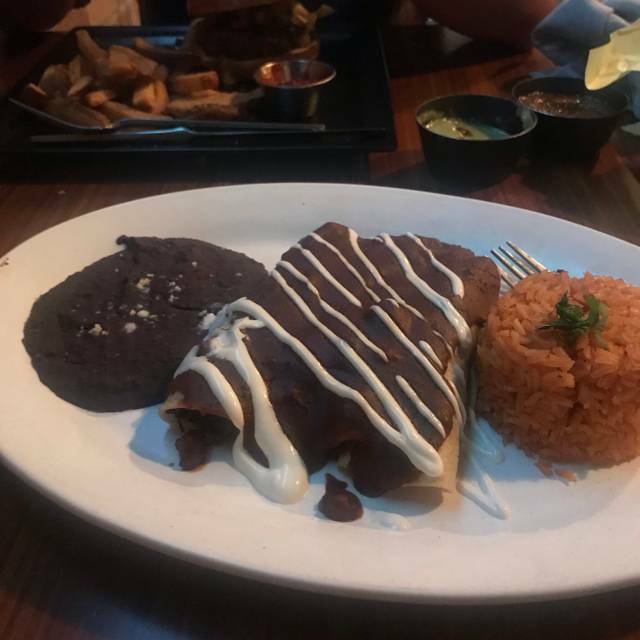 Food was delicious and the staff was extremely attentive! Needs improvement!! I really want to love Vidorra, but it just misses the mark. SERVICE - I’ve been here on two occasions and my service was a 3/10. The servers were perfectly nice, just not attentive whatsoever. Don’t go if you’re looking for a well timed meal or are really hungry. FOOD - it’s not bad but it’s also not great. The seasoning was just bland. Should rework with a chef that has some passion for flavor. 5/10. DRINKS - meh. Def not the best marg in town or any other festive Mexican cocktail for that matter. 5/10. PROS: The decor is darling. Great spot for groups. Amazing - great food and service. One of my favorite spots in Dallas! Great vibe and atmosphere. Vidorra was good. The menu has a lot of variety and there is something for just about everyone. The service was good without being too intrusive-just the right amount. 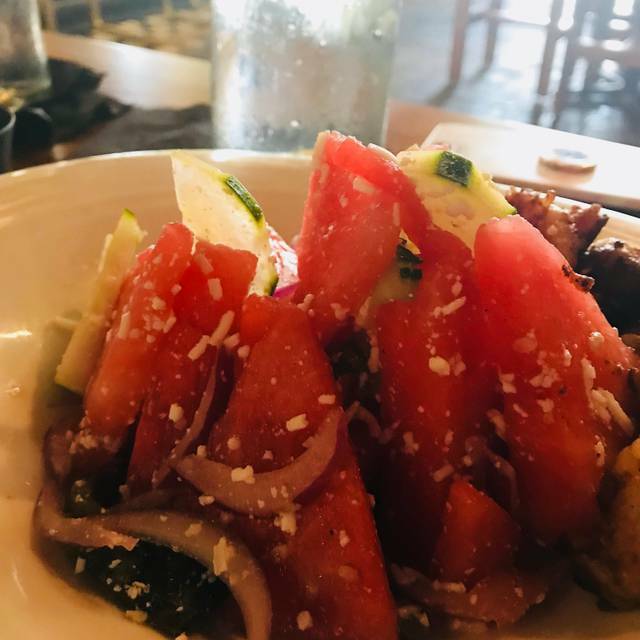 Me and my guests remarked that while it was enjoyable experience we felt like other places were better including E-Bar on Haskell and Jalisco Norte on Oak Lawn. We arrived later than our 9pm reservation by 5 minutes and had notified the hosts about it 15 minutes prior, they let us know that it would be no issue. Our party of 2 was not seated until 10 pm. The entire time we received no communication and when we would ask the hosts what was happening they would just assure us they hadn’t forgotten us. Once we were finally seated it was inside and we had requested on the patio. We then had to wait some more for our waitress to even greet us and service through out the night left us continuously searching for our/a server. There seemed to be more than enough staff but service was incredibly slow. Our waitress was incredibly apologetic about the wait but our food had come out so late we barely touched our food. The music is fun and danceable reggaeton and indoor design is beautiful. The food, wait, and communication needs work. Food was horrible and the drinks were very sugary. Not worth it. Ambience was okay but food was subpar. Fish tacos were not hot when arrived and dry. Boyfriend got the carne asada tacos which was 2 strips of steak per taco. Overpriced for what he got. The food was OUTSTANDING. The service was just okay. Love the energy and ambience at Vidorra!